I’m so excited to share with you this new, very fun product at the LLL store! 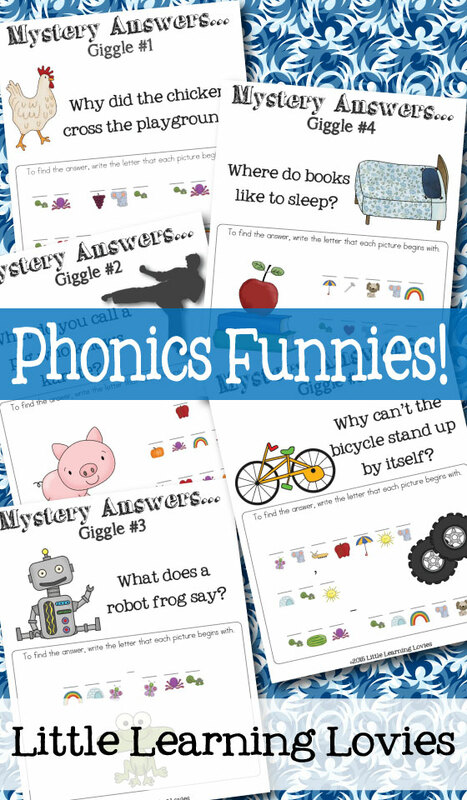 Phonics Funnies are a really interesting way to practice the beginning sounds of words while giggling your way through the activities. This first set we’ve just released has 5 Mystery Answer puzzles. 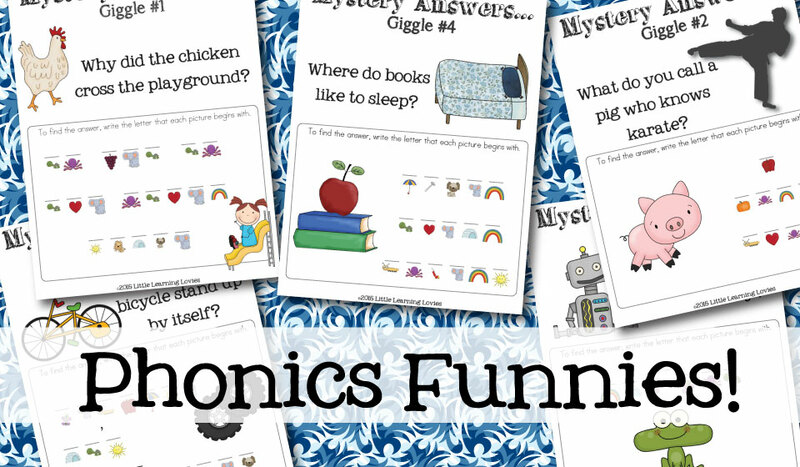 Each one asks a question and to find the answer (the punchline to the joke) children need to write in the letter each picture begins with. For my 4 year old, we did this as a team. Her big sister helped guide her through the activity, helping her figure out the letters, and helping her write the ones she wasn’t sure of. Then Big Sister read the answer for her and they both had a BIG laugh! Special Price During Release Week! Previous Post Not Part Of The Solution… The Most Anti-American Argument Against Homeschooling Next Post Free Task Planner PLUS Unlock FREE Unit Study Planner!